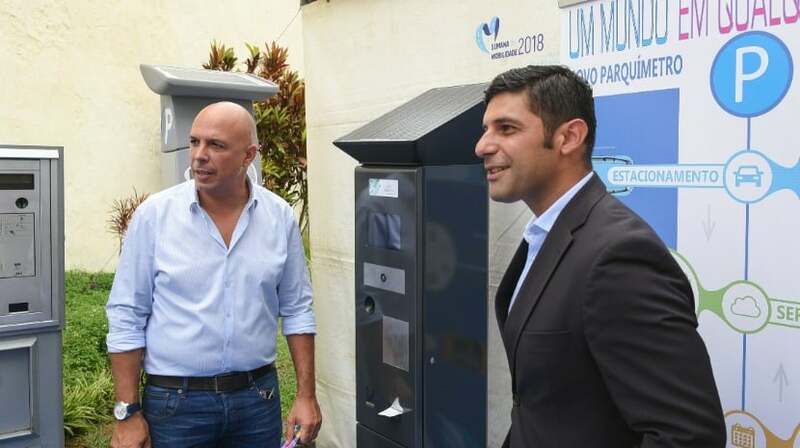 The City Hall of Funchal will implement, next week, new parking meters in some arteries of the city. In this phase of testing, three machines will be introduced, two of them in Rua do Marquês and Rua do Aljube. The goal is then to extend them throughout the downtown and historic center of Funchal. According to Paulo Cafôfo, who spoke this morning at the opening of the Funchal Mobility Week, the objective is “to foster traditional commerce through parking meters”, in which “a series of information, from cultural spectacles to proposals from the restaurants of the zone”. “We are moving towards a more sustainable and safer city,” said Paulo Cafôfo, adding that the goal in the future is to have more and more spaces for pedestrians than for cars, conditioning, if necessary, some arteries of Funchal. “All traffic-related measures have to be studied and thought of and our Mobility and Traffic Division has done this work, involving resident people and merchants,” he said, noting the intention to close Rua Dr. Fernão de Ornelas and the Praça do Município.